It’s easy to idealize the simple small town life most of us only know from books and old TV shows. 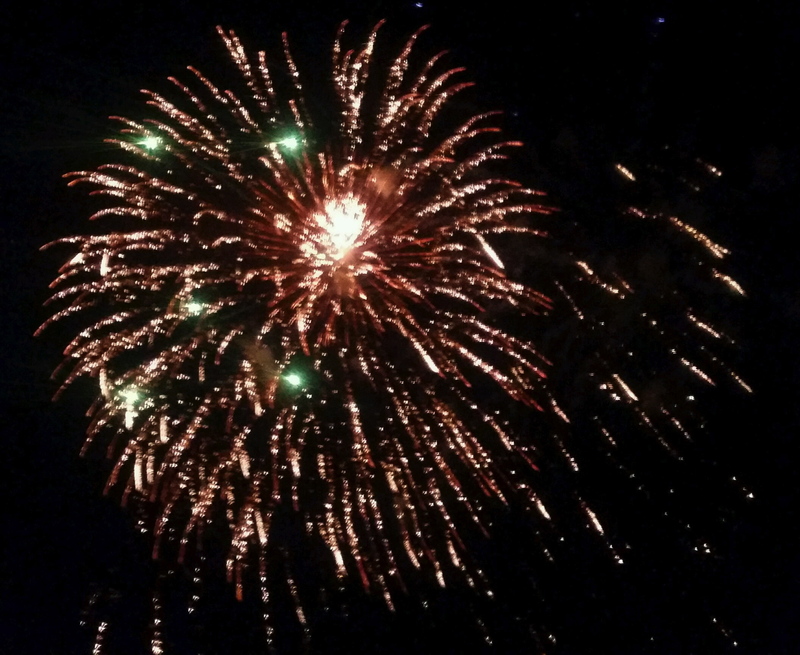 4th of July in Mayberry RFD, or with the Gilmore Girls isn’t really a fair expectation. Still, this year visiting “up north” with my parents it seemed very much like that kind of holiday. 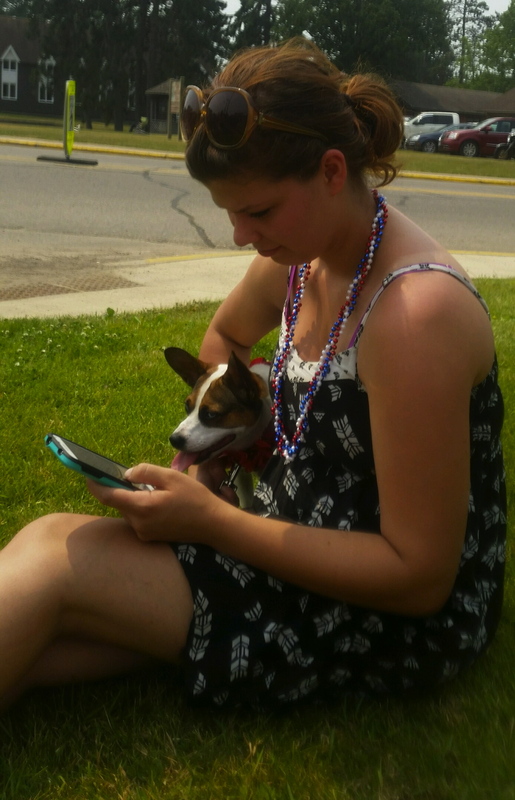 Karina and Minnie waiting for the parade. Not entirely without internet access…. My parents don’t have an internet connection, which limits the amount of media available. We still have the smart phones, and Orion listens to his playlist on his computer, but it’s less appealing to be plugged in. They’ve lived up here in these small towns for almost 20 years and so everywhere they go someone stops to say hi! There are things to do and people to meet that also discourage electronic connection. 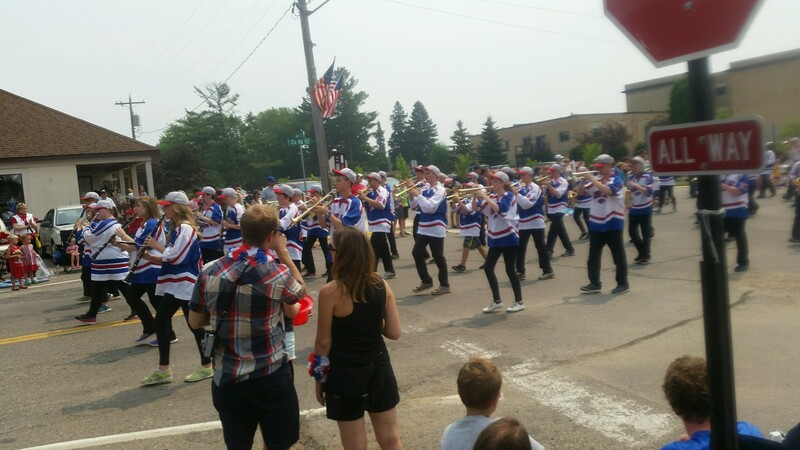 Piquot Lakes High School Marching Band. The director is my sister’s co-worker. The complaints of the weekend have been, “The ice cream cone was too big.” “The fish (fresh out of the fryer) is too hot.” “There’s too much sunshine and fresh air.” We found ourselves taking daily naps, not typical for me, just because the weather was so perfect. A classic. 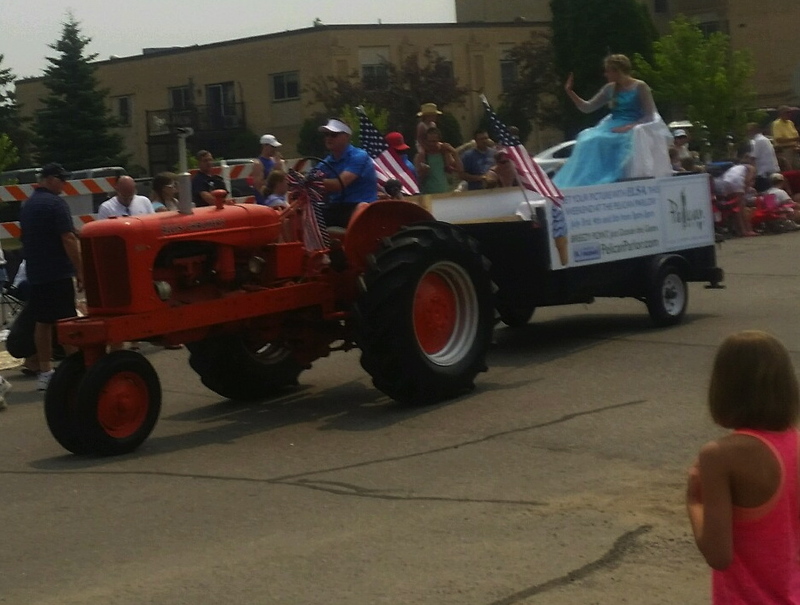 That’s Elsa from Frozen being pulled behind a tractor. Apparently if you stop by the store you can get an ice cream and shake her hand. We did all the things, but it never felt like we packed too much into a day. 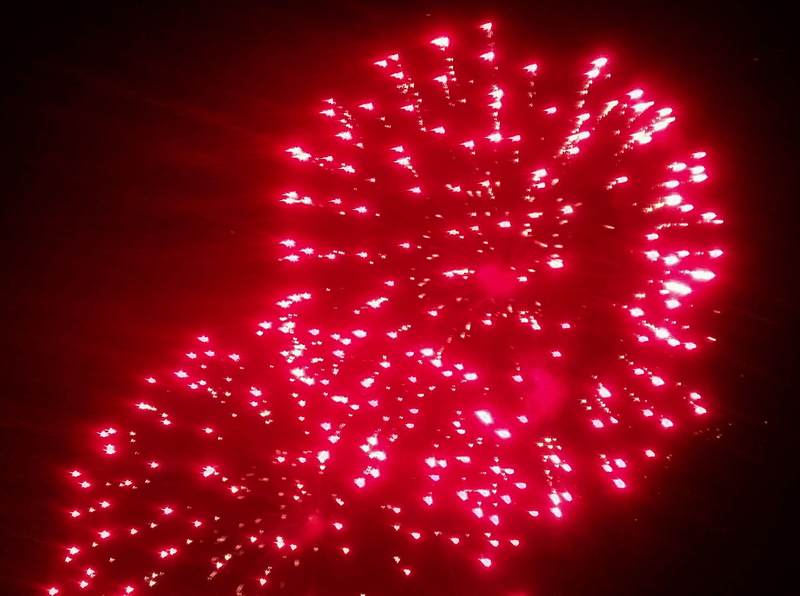 We went to one of the small town parades. Homemade floats and the high school marching band had all the nostalgia of one of those TV shows. 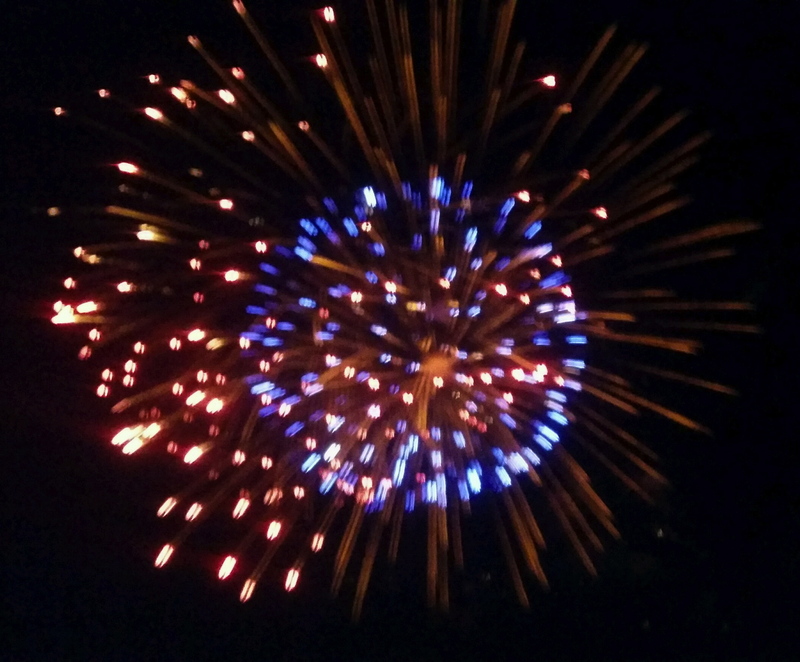 We went to see fireworks in the “big city”, Brainerd. They do a fabulous job and the location is set up so you feel like you are surrounded by the lights and they are right there in front of you. 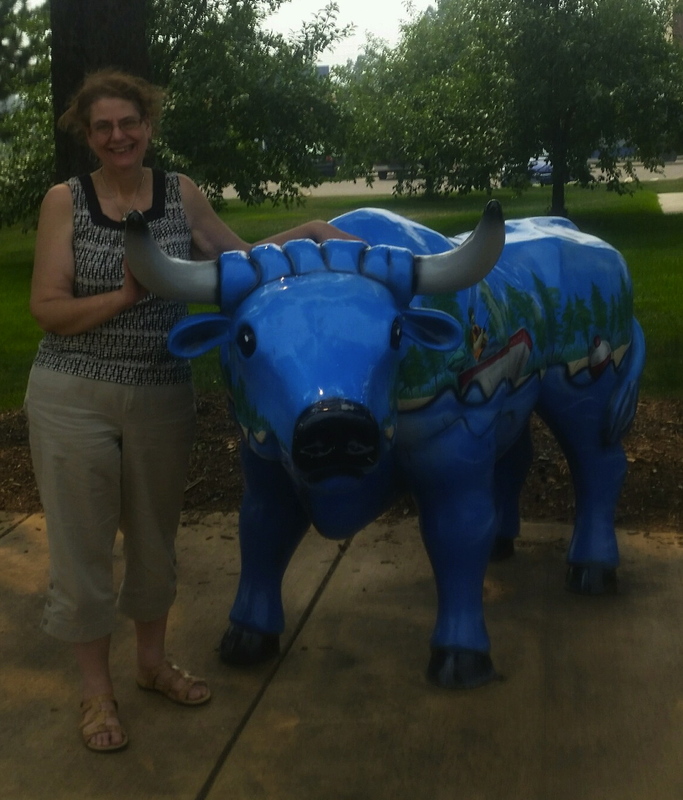 In Northern Minnesota you WILL visit Paul Bunyon and Babe the Blue Ox. We also took an afternoon to go down to the lake. 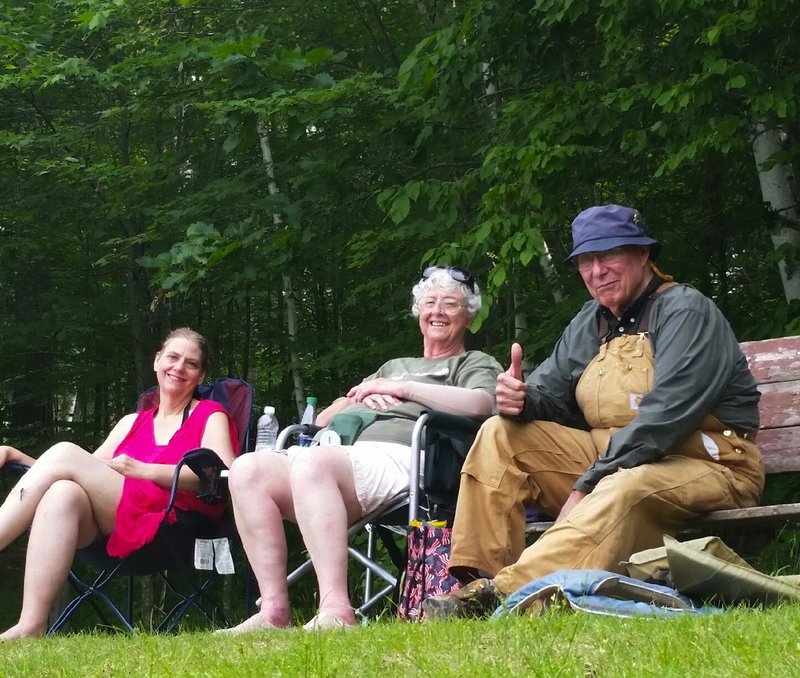 We all got into canoes – even Orion. It’s been years since I’ve done that, but the muscle memory is still there. Karina and I took Minnie out with us. The dog was not sure about that and her roaming around in the canoe was a little unsettling but eventually we worked it out. The lake was calm, the breeze was cool, another perfect day. 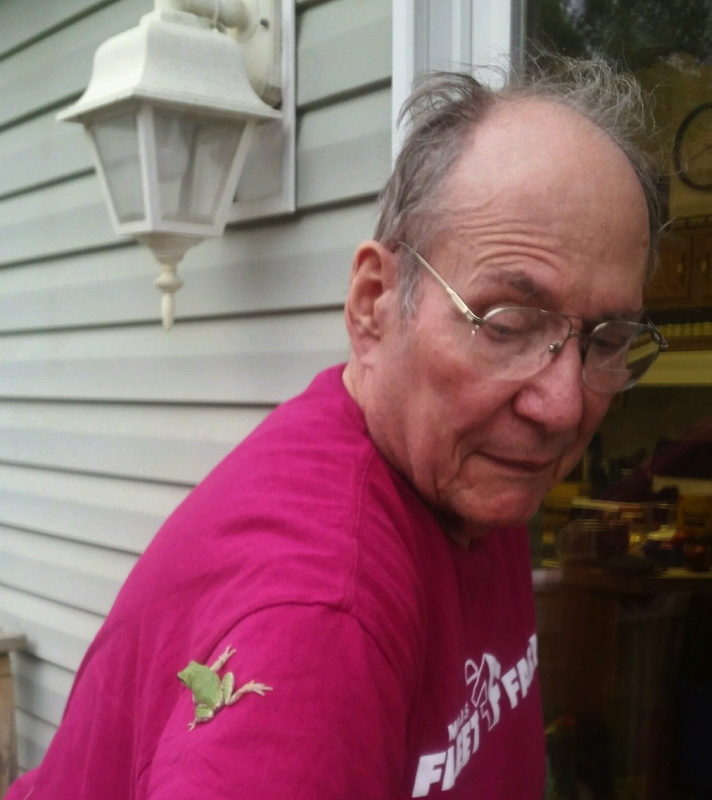 Dad showing off his affinity for local wildlife. At least it wasn’t the bear! We went swimming in the lake. Karina and my Dad caught the fish that came out of the fryer “too hot”. The ice cream cones may have been too big, but that didn’t stop us from going back another day. There is a haze up here from the Canadian wildfires. It makes the sunset bloody and the moon rise red. I may have taken more regular hits off my inhaler than I would have at home, but with the air moving even that wasn’t problematic. Wished I had better than my phone. 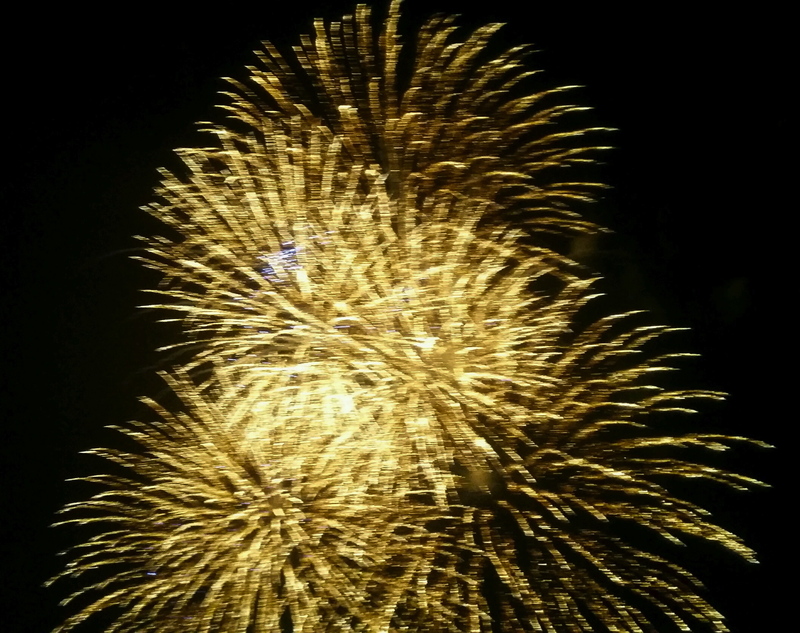 The fireworks were truly spectacular! It’s definitely time to be back home, back in the normal routine. There can be too much of a good thing. With a little distance and a little nostalgia of my own I’ll appreciate having this weekend vacation even more.